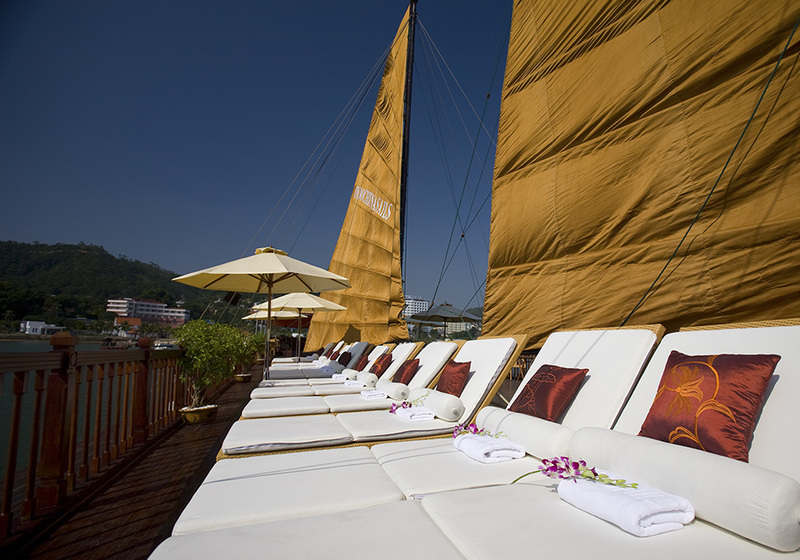 The unique route, a sailing pioneer to discover Halong Bay – Bai Tu Long – Lan Ha Bay. 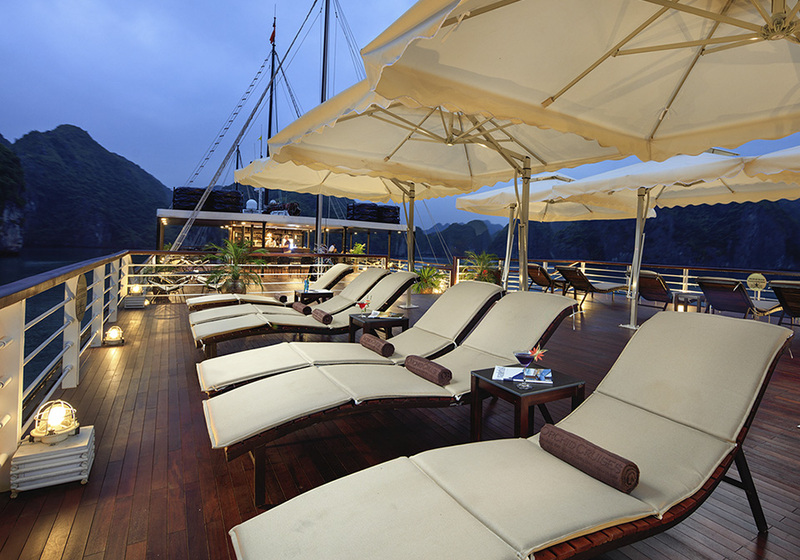 Only 1.5 hours from Hanoi center to Ancora Cruise instead of 4 hours as other cruises. Elegant Ancora Cruise Concept with luxury facilities. 15:15: Swim or hike on Titop Island. 16:00: Optional onboard activities traditional spa extra charge, sunbathing on board. 07:00: Light breakfast is served. 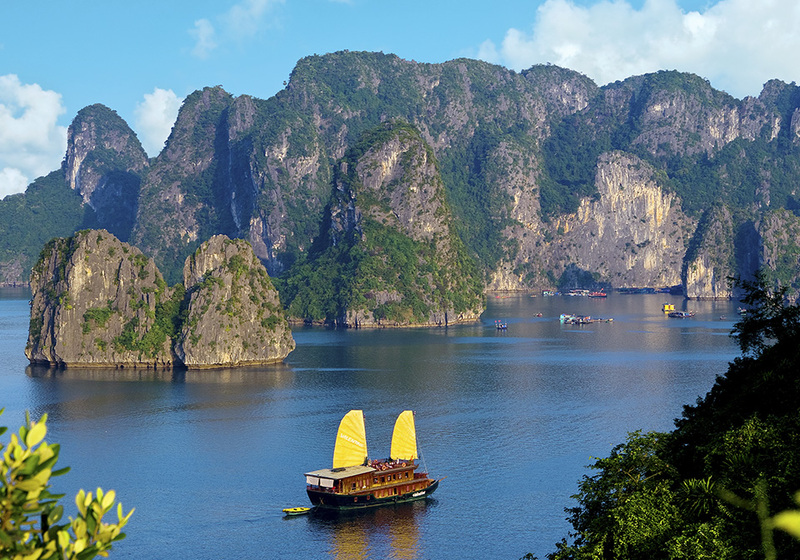 The vessel weighs anchor to cruise through more of Halong Bay. 10:45: Disembark at Tuan Chau Marina. 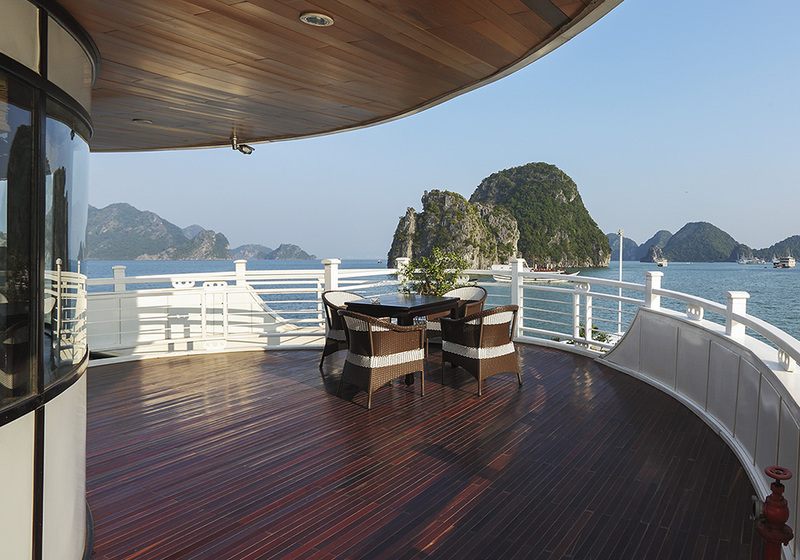 07:00 Enjoy breakfast while the boat cruises further through the beauty of Halong.